Filly was just one of 10 finalists to make it into the Hall, which will hold her induction ceremony on August 3. This year’s Hall of Fame class at the National Museum of Racing and Hall of Fame will be a small one—at least the one made up of contemporary picks. It was announced that Eclipse Award-winning filly Heavenly Prize will be the lone Hall of Fame selection of 10 contemporary finalists this year. She’ll be inducted in a free public event on Friday, August 3 at 10:30am at the Fasig-Tipton sales pavilion. 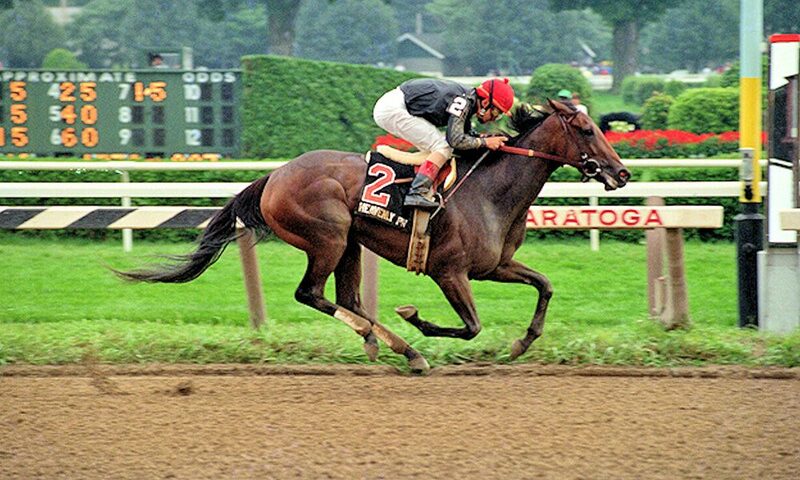 Bred in Kentucky, trained by Claude R. “Shug” McGaughey III (himself a Hall of Famer) and owned by Ogden Phipps, Heavenly Prize became an Eclipse-winning champion three-year-old filly in 1994. Over her storied career, she won Grade 1 races at ages two, three and four. These included: the Grade 1 Frizette (age two); the Grade 1 Alabama, Gazelle and Beldame (won consecutively as a three year old; watch the Alabama call below); and the Apple Blossom Handicap, Hempstead Handicap, Go for Wand Stakes and John A. Morris Handicap (won consecutively as a four year old). Her connections also took home a respectable second in the Breeders’ Cup Distaff from 1994-95. Heavenly Prize even put in work as a five year old—just one race—coming in third in the Donn Handicap, a race won by Cigar (another Hall of Famer). With winnings of $1.8 million, Heavenly Prize finished her career with a record of 9-6-3, defeating Hall of Fame talent such as Paseana and Sky Beauty throughout the years. For eight of her nine career wins, she had Hall of Fame Jockey Mike Smith at the reins, while Hall of Famer Pat Day was aboard for her final nine races. After retiring, Heavenly Prize kept up her winning ways as a broodmare, producing seven winners from eight starters. She died in 2013 at age 22.